Some of the most popular infant toys I see walking around town are the ones mentioned below. 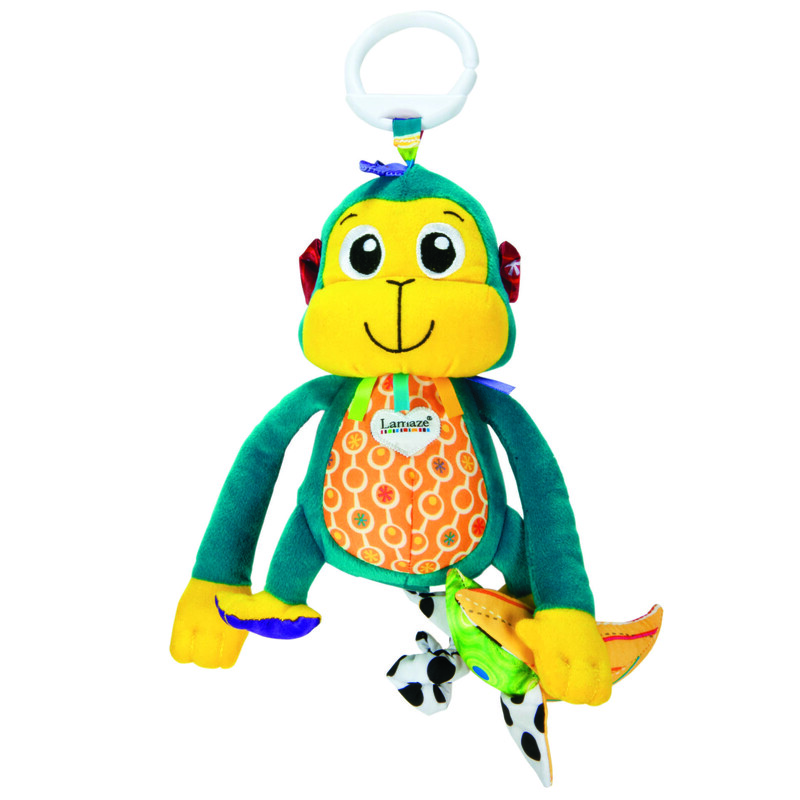 Lamaze makes a variety of soft, vibrant and developmentally rich infant toys. When my son, Andrew was an infant, we had some of these great toys. They were perfect for attaching to a stroller, car seat, play mat or crib. They were easy to carry in a diaper bag and Andrew always seemed stimulated by these toys. They often have teethers built in so it’s never an issue when the baby puts it in their mouth like most seem to do. The characters are adorable and come in a variety of animals with various textures, sounds and colors. Way to go Lamaze on creating a product that is timeless and that infants will always love! ENTER TO WIN! GIVEAWAY- Win Makai the Monkey or Huey the Hedgehog! Leave a comment below with why you love these Lamaze products. Please include some method for us to contact you in the comment (twitter or email). You get 1 extra entry for tweeting about this contest (you can do this daily). Must contain the following information: @tomy_toy @LateNightParent http://go.lnp.tv/RRm6lJ and you must also comment on this post with the link to your tweet. You get 1 extra entry for following @LateNightParent on twitter – www.twitter.com/LateNightParent You must comment on this post that you’re a follower. You get 1 extra entry for becoming our FAN on facebook –www.facebook.com/LateNightParents You must comment on this post that you’re a fan. You get 1 extra entry for becoming their FAN on facebook – https://www.facebook.com/tomy.toy (and leave a note saying that www.LateNightParents.com sent you) You must comment on this post that you’re a fan. We will pick a winner at random August 22, 2012 at 5PM EST. You will have 24 hours to reply before we pick another winner! I love these lamaze toys because they have great body parts on them for my grandson to hold on to. I also love the vibrant colors and he will love to look at them and will keep his attention! These Lamaze toys are perfect for a newborn to gaze at or an infant to play with or a big sister to entertain her little brother with. I’m always fascinated how they have more than one way to get a baby’s attention-how multi sensory and fantastic. Thanks Late Night Parents for sharing-am now following you on twitter.